Edgar prepares to bring a pot up to the launcher in the middle of the night. 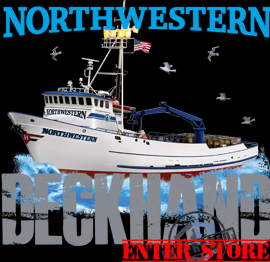 Looking for a job on a fishing boat in Alaska? We’ve been overwhelmed with emails asking us if we’re hiring and can’t possibly answer all of them so we’ve put this brief note together. We have some straight-forward advice for you based on our years of work in Alaska. 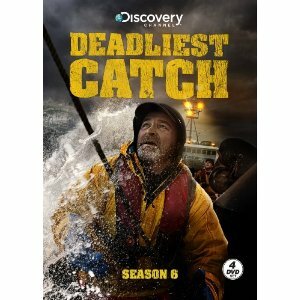 First of all, most of the crab boats fishing in the Bering Sea have steady crews, meaning these guys have been fishing on the same boat for several years. This is the case with the Northwestern – we only have room for five people and all our positions are full. 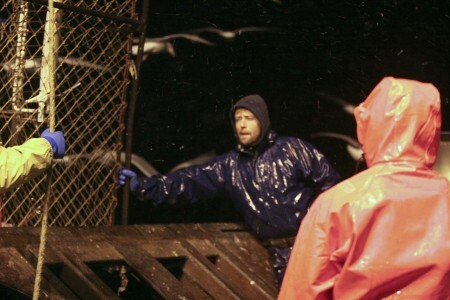 The best way to find a fishing job in Alaska is to get yourself up to Alaska with a job at one of the fish processors. The main companies in Dutch Harbor are Icicle, Trident, Westward, Unisea, Peter Pan and Royal Aleutian Seafoods. If you get a job with one of these companies they usually pay for your airfare from the lower 48 to Alaska. The seafood processors provide you with room and board too. The pay is OK and you get a chance to check out Alaska and meet the boats as they come in. This way, they get to know you personally and you might have a shot at a job if a vessel needs an extra hand.